What Is AdSense Premium Publisher Account? Good employees are always preferred and given benefits in whatever company they are working in. Likewise Google AdSense provides the good publishers with great benefits in the shape of The Premium AdSense Publisher Account. Lets look into the details of the benefits enjoyed by the AdSense Premium Publishers. According to the rules and policies of the AdSense, it forbids direct links to 'Adsense for search results' , however Premium Adsense Publishers are not granted such limitations. They are free to provide direct link to adsense for search results containing just adsense ads with zero content on the page. 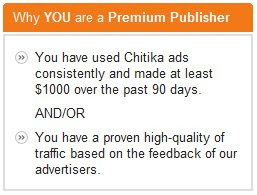 This is a great push for the Adsense Premium Publishers. Another liberty provided to the Adsense Premium Publishers is the option to remove the 'ads by google' label from the adsense ads to make them look much more professional. They can edit according to their desires and write anything as the label leading to an increase in the CTR. 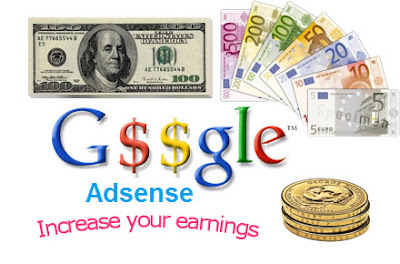 Premium Adsense gain a +1 to get ads clicked, quite much more then the normal Adsense Publishers. One of the most talked about benefits given to the Adsense Premium Publishers is the customization of Adsense ads according to their own desires. They can change the color of their custom ad, size of their custom ad, the text color and much more. Another way of copying a certain ad format is by editing the Adsense code. However this can lead to your Adsense account being disabled as changing the Adsense code is against the TOS of Google Adsense. The Premium Adsense Publishers get a separate Adsense Help Personnel and Account Manager to give them advise on the right kind of ads and ads placing for their website. This drives them to earn much more then the normal Adsense publishers. The Account Manager also helps them in setting the layout of the website, its design and color. 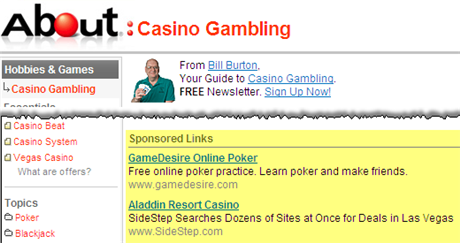 Premium Adsense Publishers are given yet another freedom to put Ads by Google on casino related and adult pages. This kind of liberty is not given to Normal Adsense Publishers as Google strictly bans putting Adsense ads on such pages. Adsense Premium Publishers get negotiated ads prices to showcase them on their website. Both Adsense and publisher negotiate on prices and sign a contract for a specified term of time to work together . The share percentage is decided upon and an agreement is signed between the two. Google strictly disallows to share any kind of update or information to the Adsense Premium Publishers which clearly shows the level of superiority they enjoy. So work upon getting Adsense Premium Publisher Account and enjoy the sUperiority level. How To Reduce Your Word Press Blog's Loading Time? BloggingeHow | Making Blogging Simpler: What Is AdSense Premium Publisher Account?